Becky began her career as a teacher of English, Drama and Media Studies in Secondary schools, before running a film education programme and children’s film festival at the Showroom cinema in Sheffield. After many years of working in the creative education sector Becky commenced her academic career and now teaches modules on the BA and MA Education and co-leads the EdD programme. 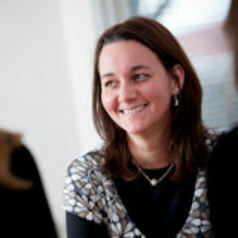 Becky is currently developing a new MA course focused on digital culture and literacies which will commence in 2020 and supervises doctoral students in this area.